A view of Great Round How, at the northern end of Brandreth. 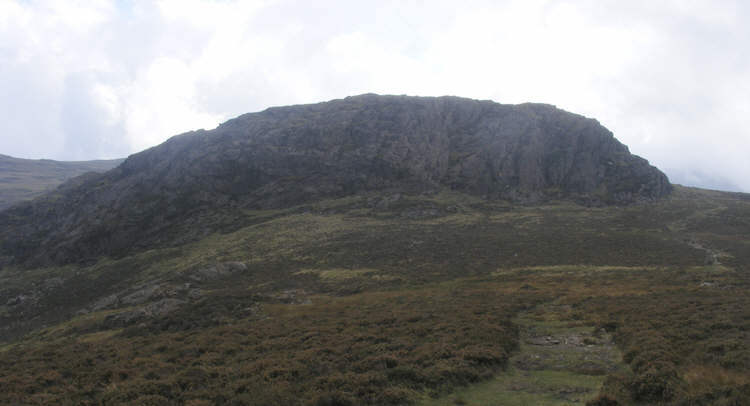 This crag overlooks one of the most busiest paths onto Haystacks, and is also a popular haunt of rock climbers. The official right of way onto Brandreth passes to the left of the crags, but a better path now runs to the right, and is visible on this picture.